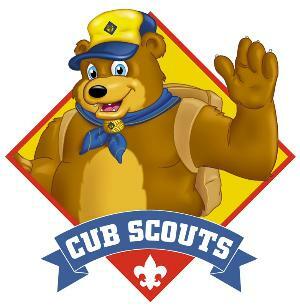 Welcome Bears to Pack 27! We are looking forward to an exciting and fun filled year while working to earn our Bear badges! Meeting Time: Thursday @ 6:30 p.m. These are the requirements for the Bear Core (Required) Adventures which became effective on June 1, 2015. *One of the items carved for requirement 3 may be used to fulfill Whittling Chip requirement 3. Make a list of equipment that the group should bring along in addition to each Scout's personal gear. Help your leader or another adult cook a different meal from the one you helped prepare for requirement 5. Cook this meal outdoors. Working with a parent or guardian, spiritual advisor, or religious leader, provide service to help a place of worship or spiritual community, school, community organization, or chartered organization that puts into practice your ideals of duty to God and strengthens your fellowship with others. Identify a person whose faith and duty to God you admire, and discuss this person with your family. Make a list of things you can do to practice your duty to God as you are taught in your home or place of worship or spiritual community. Select two of the items, and practice them for two weeks. Attend a religious service, den or pack meeting worship service, or time of family reflection and discussion about your family's beliefs. While hiking or walking for one mile, identify six signs that any mammals, birds, insects, reptiles, or plants are living nearby the place where you choose to hike. Name one animal that has become extinct in the last 100 years and one animal that is currently endangered Explain what caused their declines. Find out about two famous Americans. Share what you learned. Find out where places of historical interest are located in or near your community, town, or city. Go and visit one of them with your family or den. Learn about our flag. Display it at home for one month. Say the Pledge of Allegiance and learn its meaning. Visit a local sheriff's office or police station, or talk with a law enforcement officer visiting your den. During the visit, take turns with your den members asking questions that will help you learn how to stay safe. Practice one way police gather evidence by taking fingerprints, taking a shoe print, or taking tire track casts. Make a list of emergency numbers to post in your home, and keep a copy with you in your backpack or wallet. With your family, develop a plan to follow in case of an emergency, and practice the plan at least three times. Your family can determine the emergency, or you can develop several plans. Discuss with your parent or another adult you trust any worries you have about your safety or a friend's safety. If you have younger brothers and sisters, make sure they know how to call for help in an emergency. Learn about the energy your family uses and how you can help your family decrease its energy use. Do a cleanup project that benefits your community. These are the requirements for the Bear Elective Adventures which became effective on June 1, 2015. 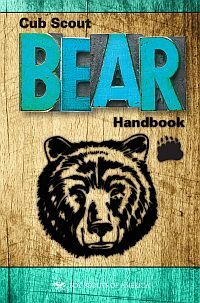 Create your own Bear Cookbook using at least five recipes you can cook or prepare either on your own or with some adult help. Include one page with information about first aid. You should include one recipe for a breakfast item, one for lunch, and one for dinner, and two recipes for nutritious snacks. Demonstrate an understanding of meal planning, cooking tools, cooking safety, and how to change the amounts in a recipe. Go on a grocery shopping trip with your den or with an adult. Check the price of different brands of one single item, and compare the price of a ready-made item with the price of the same item you would make yourself. With the help of an adult, select one food item, and follow a recipe to prepare it for your family in your kitchen. Once you have eaten, ask everyone what they liked or didn't like. Explain what you would do differently next time. Make notes on your recipe of changes you want to make so you will remember them the next time you cook. Clean up after the preparation and cooking. With the help of an adult, select one food item, and follow a recipe to prepare it outdoors for your family or den. Once you have eaten, ask everyone what they liked or didn't like. Explain what you would do differently next time. Make notes on your recipe of changes you want to make so you will remember them the next time you cook. Clean up after the preparation and cooking. Tell what is meant by an animal being "rabid." Name some animals that could have rabies. Explain what you should do if you are near an animal that might be rabid. Visit the sheriff's office or police station in your town. Find out how officers collect evidence. Learn about the different jobs available in forensic science. Choose two, and find out what is required to work in those jobs . Share what you learned with your den. Draw a Rube Goldberg–type machine. Include at least six steps to complete your action. Construct a Rube Goldberg–type machine to complete a task assigned by your den leader. Use at least two simple machines and include at least four steps. Attempt to earn the BSA beginner swimmer classification.